1) What does the manger signify? 2) What if the inn has space? This blog is part of chapter 6 in my book Right Texts, Wrong Meanings. Besides trying to draw some attention to the book, my main purpose in writing this blog (which has appeared in different forms in various publications) is show that Luke 2 deserves close attention for its strongly social message. Christmas is a great time to remind us of this message so that our 2013 will be a time of building up others while putting down our self-interest. 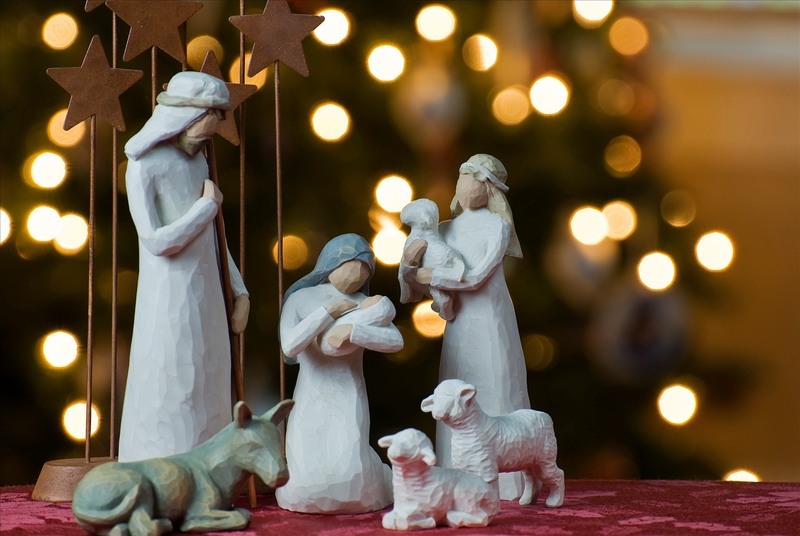 The common understanding about Luke 2 is that it is about the humble baby Jesus. The author said no such thing. In fact, Jesus did not occupy an important place in it other than being the destination of the quest for the shepherds. After all, why should Jesus be the central figure? He was a baby. He was not doing anything. While I’m not suggesting that Jesus occupy no importance place in his own narrative, the plot is built around the shepherds. The shepherds occupy a lot of the plot. The repeated phrase in the passage is “lying in a manger” in Lk. 2.7, 12, 16. Most people just focus on the inn having no room. A month before Christmas, the Pope finally came out to say that the manger animal scene is a myth. In the passage, there was no animal. Scholars have different opinions as to what a manger was and what the “inn” actually was (obviously quite different from our Shangri La Hotels). One fascinating suggestion points to the “inn” as a house that was so tiny that Mary could not lay all her stuff out to give birth. The “inn” could have been a tiny house or a tiny guest room in a tiny house or added to the side of or on top of the house that belonged to one of the relatives of the holy family. After all, if they were going back to their hometown, they could count on the relatives’ hospitality there (though we know that Joseph has a house in Nazareth). The poverty of Jesus’ family is obvious in the offering they gave in Lk. 2.24 (doves and pigeons were poor people’s sacrifices). In his blog, Dr. Ian Paul, former dean of St. John’s Nottingham, added another excellent and well-founded observation from Lukan vocabulary that the word “inn” was used to describe the upper room where the disciples had dinner with Jesus (Lk. 22.11) because Luke had a different word to describe “inn” in the Good Samaritan story (cf. Lk. 10.34). There was no space in the upper room of the very small family house. Is it not possible that the lack of space was in the upper dwelling of a house where the lower area where the manger was became the place where the holy family worked out the birth? The slightly changed meaning from the traditional interpretation does not diminish (and may in fact enhance) the difficult circumstance of the holy family. What is a manger? The manger was most likely a wooden feeding (or stone according to one of my scholarly friend who acquired one such artifact) container for a horse at the side of the house. After all, people usually left their animals outside, as they traveled. Why indeed was Jesus left in an outside (but probably sheltered) place? The text clearly states that the shepherds had to find them in Lk. 2.12, 16. There is your answer. God wanted the first witnesses to the first Christmas to be the lowly shepherds, not the rulers of the land in Lk. 2.1. There you have it. Christmas is not about celebration of the Christ child only. It is about sharing God’s love with those who would otherwise be alienated in the society. The gospel of Christmas is the gospel for the poor. So, as you celebrate, remember the poor. The simple answer to the questions? The manger was the sign to the shepherds, but there was no inn! An Advent prayer: Dear Lord, we pray that your Holy Spirit might prepare our hearts to welcome you in prayer, in your word and sacrament; in friends, family and colleagues; in the poor, the sick, the hungry, the lonely, and all whom you have called us to serve. Amen. From http://www.hypotyposeis.org/papers/Carlson%202010%20NTS.pdf, accessed Nov. 29, 2012. This article is worth reading. Steven Carlson originally published this article in New Testament Studies, a reputable journal for scholars. If Joseph was from that town, this could have been his house he was returning to. From http://www.ourlanguageourstory.org/activities/pdf/AdultAdventPrayer.pdf, accessed Nov. 29, 2012.